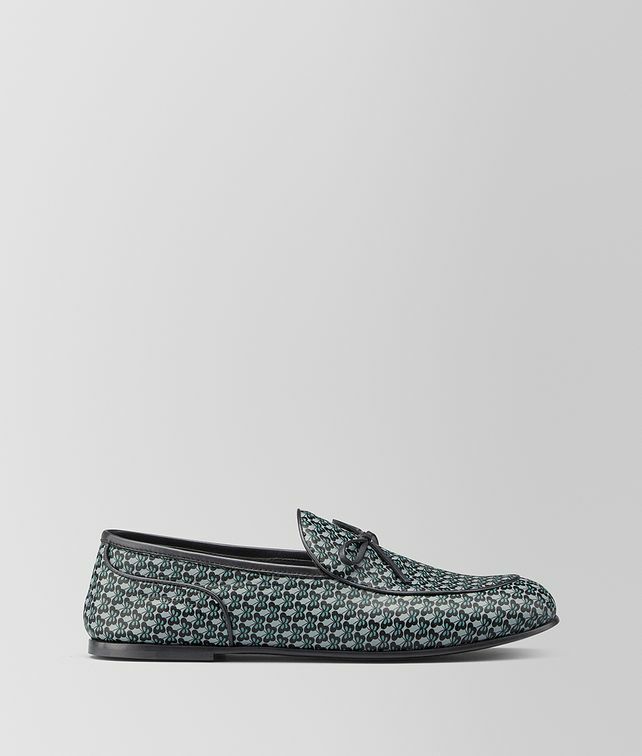 Equally relaxed and refined, the BV Trinity loafer is new in soft nappa leather with all-over butterfly print. Introduced in our Cruise 2019 presentation, the graphic style is designed to be worn with the season’s in lively patterns and distinctive colours. The pair is fitted with a cuoio sole that is soft and flexible but suitable for outdoor wear. Finished with a leather lace and leather piping.